In episode 312, Douglas Brown interviews Lee Bushen, Partner Enablement Manager at StorMagic and Chris Edwards, Technical Marketing Lead for Citrix Ready. Lee, Chris, and Douglas discuss the StorMagic’s SvSAN edge appliance for Citrix Cloud Services. Lee dives into how it works, the problems they solve, why we should care and much more. Established in 2006, StorMagic is simplifying ... See More storage at the edge. Its virtual SAN makes edge computing simple for everyone from large organizations with thousands of sites, to companies running a single small datacenter. StorMagic offers customers that are dissatisfied with the cost and complexity of external SANs a highly available, two-server solution that is simple, cost-effective and flexible. 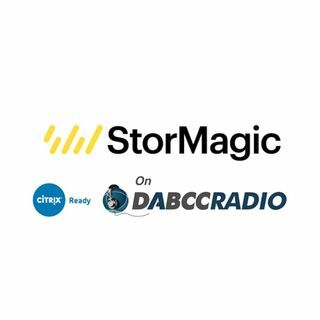 For additional information, visit http://www.stormagic.com. Lee Bushen recently joined StorMagic as Technical Enablement Manager after an 11 year career at Citrix. Joining Citrix as part of the acquisition of XenSource, he is an expert on Server and Desktop virtualization. During Lee’s time at Citrix he founded the Citrix “Master Class” series of webinars and was an SE Manager, technical leader and evangelist for XenApp & XenDesktop across EMEA.